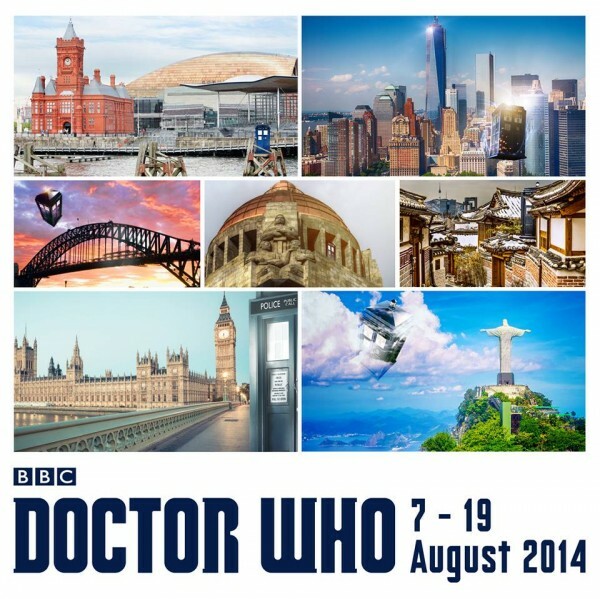 The BBC has just announced a 12 day Doctor Who World Tour commencing on 7 August 2014. Covering five continents and seven cities, the tour will conclude in Brazil on 19 August. The Twelfth Doctor, Peter Capaldi, Companion Jenna Coleman (Clara) and Executive Producer Steven Moffat will visit the cities of Cardiff, London, Seoul, Sydney, New York, Mexico City and Rio de Janeiro. In the meantime check out the World Tour promotional video below. Season 8 of Doctor Who will commence screening on a date to be advised in August 2014. The Eighth actor to play the Doctor in the iconic British television programme Doctor Who, Paul McGann, has tweeted a photograph of the Eighth Doctor in an unexpected location. 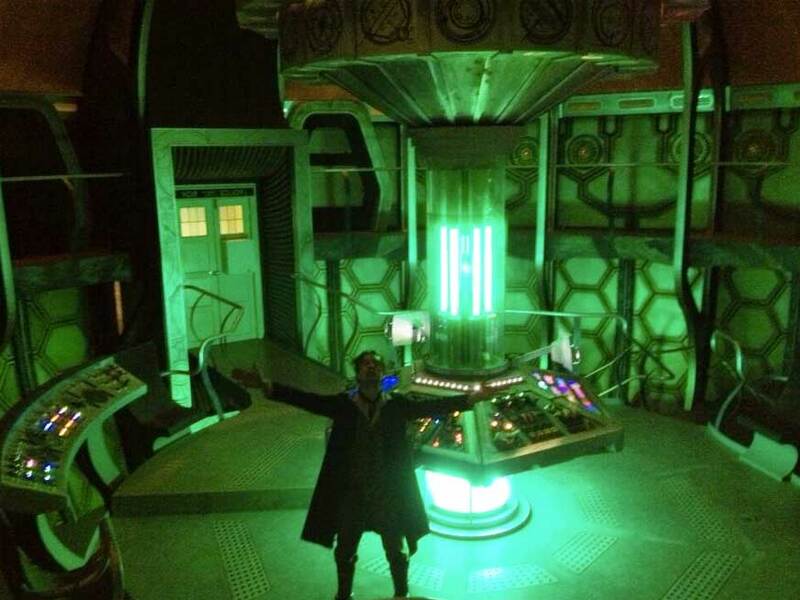 Presumably taken during the filming of the minisode The Night of the Doctor in April 2013, the shot shows the Time Lord in what appears to be the Eleventh Doctor’s TARDIS console. McGann captioned the photo with “This is my moment …!” Could this hint to more Eighth Doctor minisodes? Only time will tell. One can only hope that the ever vigilant Estate of the late Terry Nation, the creator of Doctor Who’s iconic Daleks, turned a blind eye to the mutant pepperpots’ recent outing in defence of gay rights. Renowned for its fervent protection of copyright, the Nation Estate would undoubtedly be confounded to see the perennial haters utilized to spread love and acceptance. 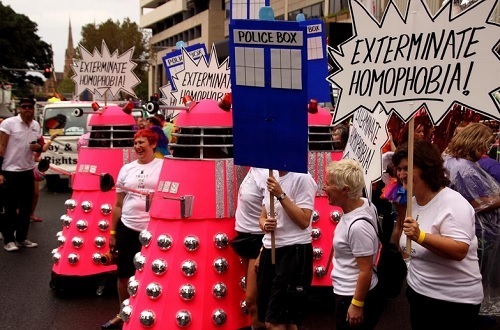 Sydney women Kathy Sant and Jenny Martin constructed three pink Daleks and assorted props for their “Exterminate Homophobia” float at the Sydney Gay and Lesbian Mardi Gras on 1 March 2014. 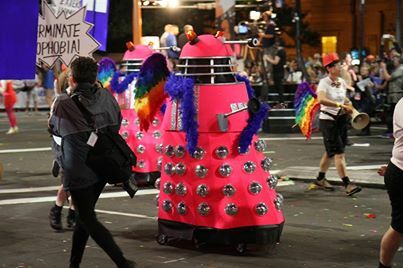 Built in the backyard of their Marrickville home, the equal rights Daleks proved a big hit at the parade as they spread the their message, “Equality: You Must Comply”! “David the Dalek” even has his own Facebook page. You can check out the construction of Sant and Mann’s Daleks at the same same website. 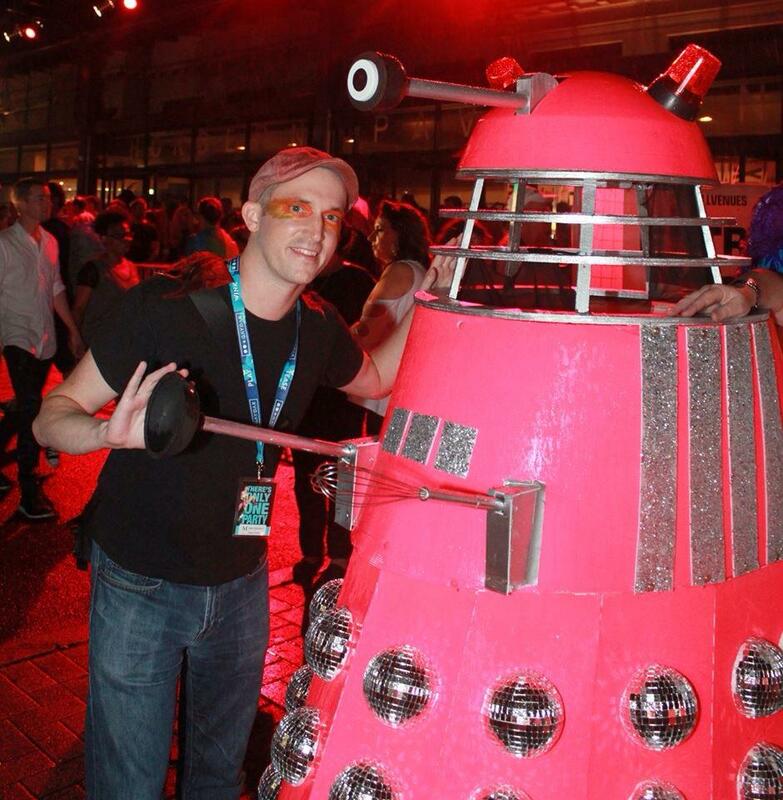 The first photo in this post is courtesy of David the Dalek’s Facebook page. No copyright infringement is intended. 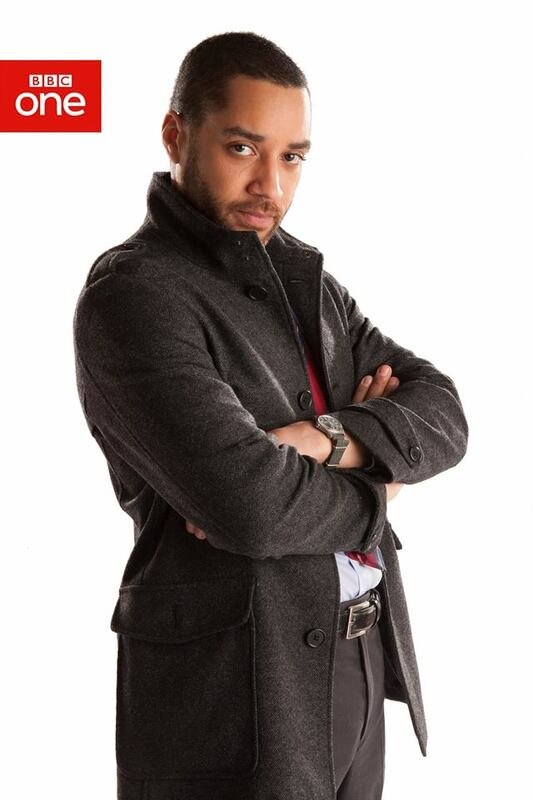 The BBC has announced that former Emmerdale star Samuel Anderson will join Doctor Who in Series 8 as a recurring character. Details on the role are scant with the only confirmation being that Anderson will play Danny Pink, a teacher at Coal Hill School. In the 50th Anniversary Special, The Day of the Doctor, companion Clara Oswald was also shown to be a teacher at the school which started it all off for Who in 1963. 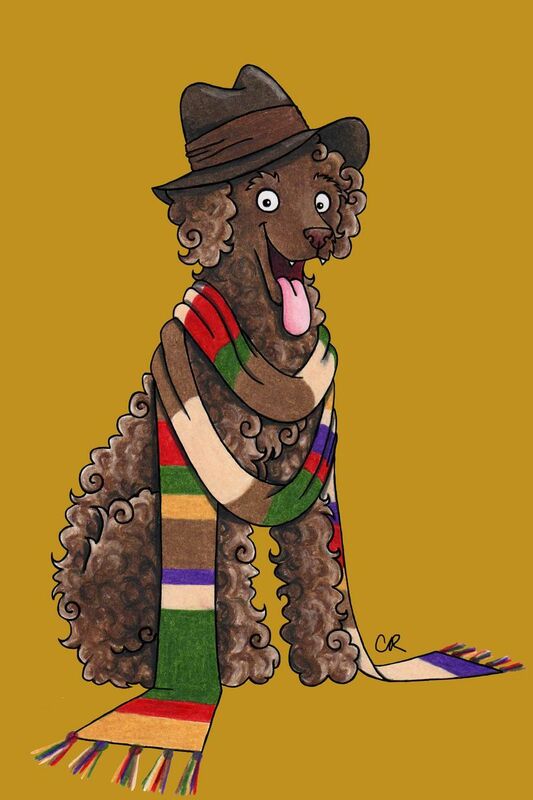 Whether Anderson will be a companion is unclear. Which of the Doctor’s male companions would you most like Danny Pink to be modelled on? Vote in the Doctor Who Mind Robber’s Poll and share your thoughts in our comments section. We’ve excluded UNIT characters, Kamelion and K-9 from the Poll, however please feel free to discuss them in the comments. A real treat for all Doctor Who fans as Doctor number 5, Peter Davison, arrives via TARDIS and reveals new secrets about his time on the long-running show. During the interview, he also reveals a fascinating fact about the 50th anniversary special that will delight many fans of the classic series. 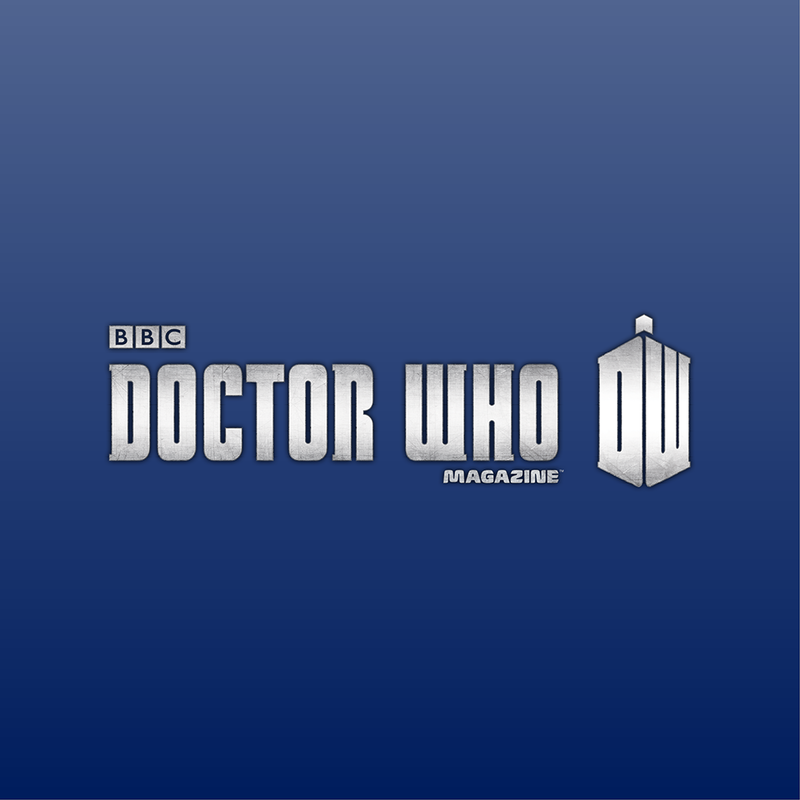 The recent launch by Apple of an iPhone and iPad app for the Doctor Who Magazine is sure to be welcomed by fans of the 50 year old television programme, particularly those outside of the United Kingdom. Sales of the print version of the 34 year old publication hit an all time high in the second half of 2013. The Audit Bureau of Circulations (UK) certified DWM’s circulation at 36,151, an increase of 26% over the previous twelve months. This figure is all the more exceptional when compared to the overall consumer magazine market in the UK which dropped 6.3% during the same period. The press release on this outstanding achievement can be read here. 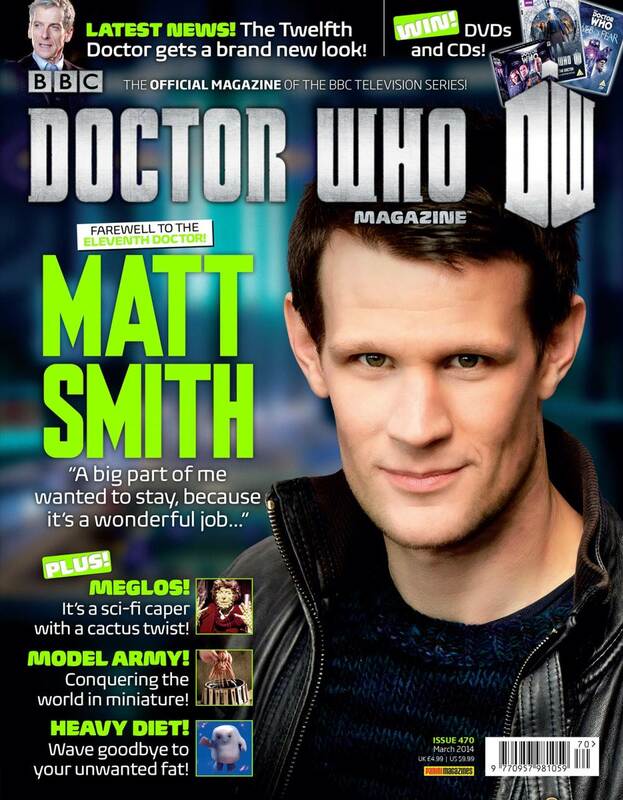 Whilst these increasing circulations figures evidence an expanding market for Doctor Who in the UK, fans outside of Britain have long experienced difficulties in obtaining the magazine in an efficient and cost effective manner. In Australia, for example, DWM is not stocked in newsagencies and can only be purchased by costly (and sometimes dodgy) annual subscriptions or as a “one-off” from a multitude of eBay sellers. The current edition, number 470, will set an Australian fan back at least $28.00 and take more than a fortnight to arrive from the UK. Special editions are even more expensive. The 50th Anniversary edition (467) cost me $45.00! Imagine my delight when I discovered the Apple DWM app. 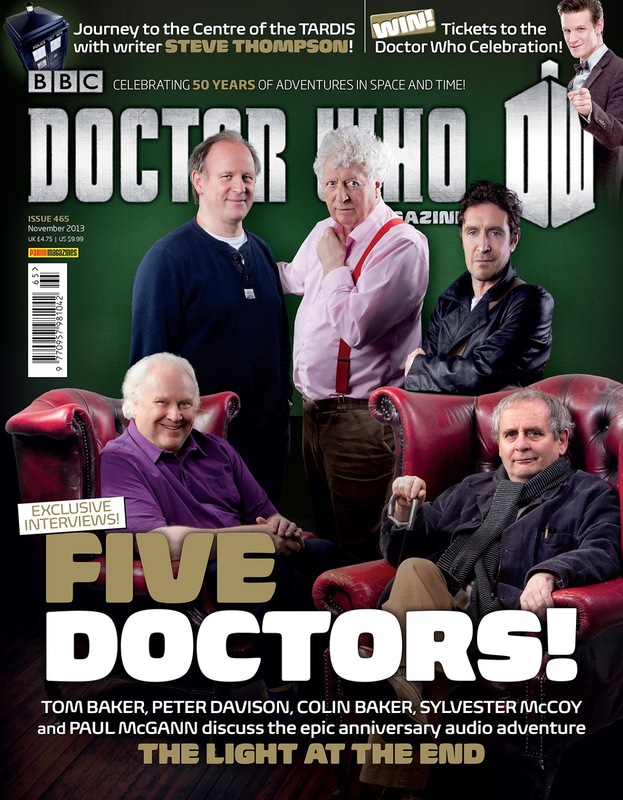 Currently available for sale are all issues from February 2013 (456) to date, together with Special Editions 34, 35 and 36 which feature the missing episodes of the First and Second Doctors. Issues 466 to 470 are currently retailing for $6.49; issues 456 to 465 for $4.49, and Special Editions 34, 35 and 36 for $8.49. A 12 month subscription is available for less than $45.00. The Apple DWM app is a direct scan from the print version and has not been formatted specifically for iPhones and iPads. One page is presented per screen, or two pages if the device is rotated 90 degrees. On a standard iPad Air this generally permits the text to be read, although use of the zoom function conveniently increases text size for less eye strain. The comic script reproduces well and can in most instances be read without zooming. 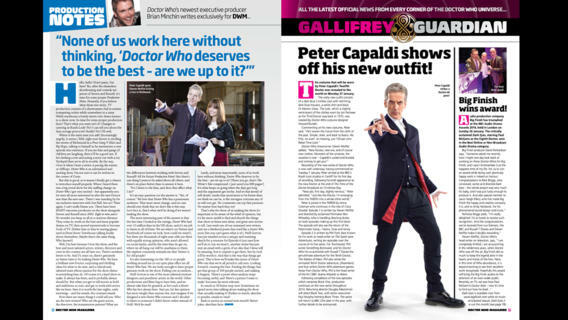 Reading DWM on an iPhone 5 is impossible without repetitive zooming and scrolling. Except for the Contents page and cover the app is not interactive so completing the crossword online is impossible. Automatically accessing articles from the Contents page and cover is a nice addition. A useful help screen provides instructions for navigating the digital edition. Let’s hope that a fully interactive tablet specific app is soon introduced, together with an Android version for non-Apple users.